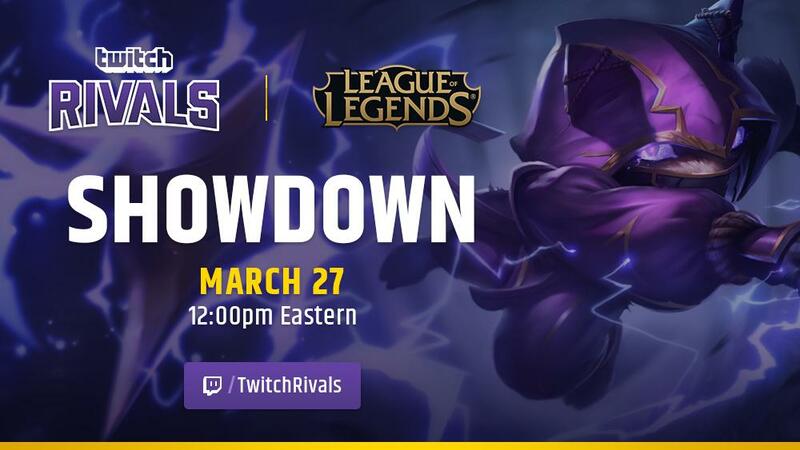 On March 27 at 12 PM ET, we’ll be kicking off the second Twitch Rivals Showdown for League of Legends. Watch some of your favorite streamers battle it out in a blind pick brawl on twitch.tv/twitchrivals or on each individual creator’s Twitch channel. Check out the official tournament page here for full rules and details. The fun doesn’t stop there as some of these NA streamers will join top EU talent for a live showmatch at TwitchCon EU on April 14. In a round robin format, 60 content creators will show off their teamwork, champion mastery, and role proficiency as they fight for wins as the best in their bracket. With rotating teams every match, we’ve amped it up this time and the fiesta will be even crazier. The top player from each role in each bracket will go to the final match as Noxus vs. Demacia. You don’t have to worry if your favorite streamer isn’t Challenger, because each player will be awarded a cash prize for every W they take home.